We only use the best possible delivery services such as UPS & Fedex, who will deliver your Auto parts directly to you. INTERNATIONAL PACKAGES: We ship with CPN Autosearch Platform – it take approx. 7 – 10 days to arrive. DOMESTIC PACKAGES: We ship Priority. It takes 2-5 business days. We ship all our international orders through Florida, California, Belgium and UK using FedEx International. Delivery time usually varies between 7-10 business days. This postal method requires a signature on delivery or a pickup at our facility. In the event of a late, missing or lost parcel, please wait until 15 business days after the usual delivery window before submitting an inquiry. 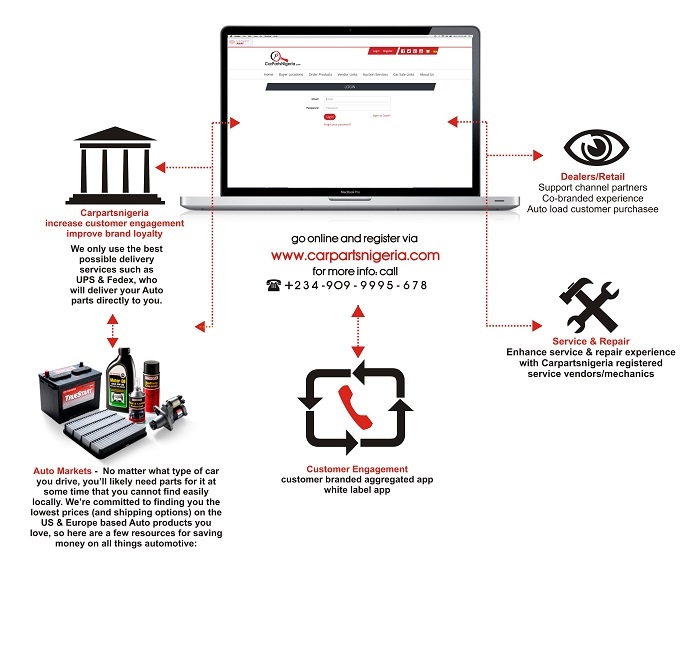 We receive your request for a Auto part via email or direct calls. We find your Auto parts and give you the price including shipping and handling. We do not add any overhead to your cost of product or pricing. We charge a service fee of 15% for items lower than $500 and 8% for items above $500. Our international service is customer oriented based to give you peace of mind ordering through our vendors and logistic partners. You can also buy your product yourself and ship to us in united States (Florida & California), United Kingdom and Belgium. the weight of your items and the delivery address. We ship to most Major City addresses. For immediate Request or Questions. Duties and Taxes: Import duties and taxes may or may not be included in the product price, shipping and or handling costs. These charges are the recipient’s responsibility as we are only charging the transportation fee for the packages. You may check with your country’s customs office to determine what these additional costs might be. Alternatively, you can also advise CPN if you want the Duties and Taxes calculated and included in the overall price.